John 7 is all about Jesus attending the Feast of Tabernacles which is one of the three main festivals in Israel's liturgical calendar and took place around end September. The feast is both agricultural in that it celebrates the in-gathering of the harvest and spiritual in that it commemorates the time that God provided for the Israelites as they travelled for 40 years from Egypt to the promised land. Jesus' brothers had urged him to perform His miracles in Jerusalem at the feast. Jesus declined and only joined the week long feast toward the end. He didn't perform any miracles, but there was fierce debate and although Jesus clearly hinted at His identity as the Messiah, He was not arrested. When the Pharisees asked the "temple police" why they didn't arrest Him, their answer was: "No one ever spoke the way this man does." On the last day of the Feast, and we can only imagine that it was as the water libation was being poured out that Jesus shouted out the powerful invitation to come to Him for living water. This is a theme that already came up in John 4 with the Samaritan woman. It's a theme that goes back to Ezekiel 47 where we find a vision of water flowing from the temple, getting deeper and deeper and bringing life wherever it goes. Those who drink it, like the Samaritan woman, find their thirst quenched. Those who drink it find themselves going deeper and deeper in their relationship with God. Those who drink it find that the deserts bloom around them and that dead seas come to life. Jesus gives Living Water - He gives us His Spirit. When we come to Him - Living water will flow from us. This is the second of three miracles of provision in John: Water into wine, the feeding of the 5000 and the big catch of fish in ch.21. The miracle is the enacted parable of what Jesus would announce later in the chapter: Jesus said to them, "I tell you the truth, it is not Moses who has given you the bread from heaven, but it is my Father who gives you the true bread from heaven. 33 For the bread of God is he who comes down from heaven and gives life to the world." Bread. Even today it is a significant staple foodstuff - but it was even more so in Palestine. It represented survival and people needed it day by day. When Jesus makes reference to Moses and bread from heaven He is referring to the manna that sustained the Israelites in the desert. But Jesus extends the metaphor from provision to something even deeper. He is not only the bread in the sense of being the provider. He is the bread from heaven come down to earth who will be sacrificed for the sins of the people. In Leviticus bread is also featured in the sacrifices people made in the temple. And then He takes the image one step further: We have to eat of this bread, we have to partake of Him, we have to participate. - We need to participate in Him and connect to His amazing love. One who was there had been an invalid for thirty-eight years. 6 When Jesus saw him lying there and learned that he had been in this condition for a long time, he asked him, "Do you want to get well?" There are many stories of Jesus healing people. The paralysed man is by the pool of Bethesda where, from time to time, the waters of the pool would be stirred and the first person to get into the water would be healed. Jesus asks the man "Do you want to get well?" Instead of answering "Yes please - of course I want to get well!" The man launches into a complaint that there was no one to help him get into the water. The man has a shrunken spirit - he believes that the world owes him a favour and he is angry that it won't help him! But Jesus heals him. There's just one problem though... the healing takes place on a Sabbath and the man gets into trouble with the Pharisees (John calls them "the Jews") for breaking the fourth commandment by picking up his mat on the Sabbath. The man immediately blames the man who healed him but he doesn't even know who Jesus is and he can't point Him out to the Pharisees. "Later Jesus found him at the temple and said to him, "See, you are well again. Stop sinning or something worse may happen to you." 15 The man went away and told the Jews that it was Jesus who had made him well." Here we see the full extent of Jesus care and love. Not only does Jesus want to heal the man's body, but He wants to heal him from the bitter cynicism that seems to rule his soul. He seeks the man out, and, when He finds him, He warns him to soften his heart. The man, however, decides to throw his lot in with the Pharisees and acts as an informer, betraying Jesus to them. It's a sad end to the man's story but a beautiful insight into Jesus' persistent pursuit of us. Then, leaving her water jar, the woman went back to the town and said to the people, 29 "Come, see a man who told me everything I ever did. Could this be the Christ?" 30 They came out of the town and made their way toward him. The background to our passage is that Jesus has chosen to walk through Samaria instead of going around it as many Jews would have. He has walked through the heat of the day to get to Sychar in time (He's tired when He gets there) to encounter a woman who avoids the rest of the town by going to draw water in the middle of the day when everyone else is in "siesta mode." He has started a conversation about living water and spiritual thirst and revealed Himself to the woman as the long-awaited Messiah who is available to all who are willing to worship in truthful sincerity. This is a transformational moment for the woman and she leaves her water-fetching task undone to go and tell others the good news. Our reading picks up where the disciples come back having found provisions but Jesus isn't hungry. He has found satisfaction on a deeper level. I'm convinced that when He said "I have food to eat that you know nothing about" He was looking at the abandoned water jar with a satisfied smile. Jesus passion was to reach others with God's love. He was willing to cross barriers. Jews and Samaritans hated each other, but Jesus reaches out to her. He was willing to put in effort. He walked in the heat of the day to get to Sychar on time to find her at the well. He initiates a conversation and builds a bridge to her. He confronts her brokenness gently and offers powerful hope. He leaves the results to the Holy Spirit when He lets her go back into town - as it turns out she brings the whole town back to Him and they too are brought to faith. How do we feel about reaching others with the gospel? "Who were the teachers that had the most impact on you?" Almost without fail, the answer boils down to the thought that the teachers who leave the most lasting impression on us are the ones that really cared about us. Nicodemus was a teacher of the law - supposedly he knew how people could get through to God - but he didn't. About the Trinity: That the Father is a loving father who gives the Son, who, in spite of being the one and only Son, is lifted up (on the cross) and that the Spirit is at work in our lives like the wind - we can't box Him, predict Him or limit Him. About the need to be born of water and the Spirit - that there has to be a spiritual awakening in our lives. We can't live an earthly life (born of water) and ignore the reality of eternity being whispered in the Wind rustling in the leaves of our lives (to open our hearts to the God of eternity is to be born of Spirit). These lessons were a paradigm change for Nicodemus. Nicodemus might be tempted to write Jesus off as a crazy nutter. He might consider Jesus' teachings as pie in the sky or idealistic pipe dreams. The Teacher believed so strongly in the Kingdom He proclaimed that He suffered and died for it. The Teacher, like the Father, cared for and loved us enough to die for us. The Teacher, by being condemned in our place, demonstrated in actions that God's agenda is to save. Jesus is the ultimate Teacher: Genuine, Caring and Consistent. He gave His life because He loved us!!! Let's worship Him with love, gratitude and adoration! We know the story of the wedding feast in Cana where Jesus turns water into wine to rescue a young couple from the embarrassment of being bad hosts. It is the first of Jesus' public miracles recorded by John (and in his gospel John only records seven miracles). At the end of ch.1, just before this account, Jesus tells Nathaniel that he will see angels ascending and descending on the Son of Man. Then John takes us straight into the wedding feast account and he will go on to use this phrase a dozen times. In the Old Testament the phrase also appears often in the book of Ezekial and is commonly translated "mortal man". 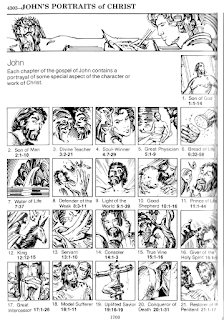 This gives us a useful insight: The idea behind "Son of Man" is someone who is very very human. Someone who is connected to the frailty and mortality of human kind. Jesus and all his disciples have been invited to the wedding. His disciples were a rag-tag bunch, fisherman, tax-collectors and zealots and yet Jesus was so loved by this couple that they invited his disciples too. "If they're good enough to be his disciples then they're welcome at our wedding." This gives us a picture of the attractive humanity of Jesus. Jesus' apparent resistance to helping is only apparent, because He provides abundant wine for the wedding. The issue is that He is thinking of another wedding, where the Church is the Bride and He is the Groom. To provide wine for that wedding was going to cost His body and blood and Jesus is very aware of that cost. It's a time that He knows is coming. Giving this couple wine for their celebration knowing that one day He will pay a big price. John 1 is like the overture of a theatrical musical. An overture is the introduction and sets the stage and mood, but it also gives one some sense of the main moments of the story. He opens with "In the beginning was the Word..." and we are taken all the way back to Genesis 1. We are reminded of John the Baptist who is Jesus' forerunner and gives the gospel story historical credibility. John the Baptist is also the one who reveals God's agenda for us - to be witnesses of the light. He transforms people bringing them from death to life - to being born of God. John has already told us that Jesus is the Word who is with God and is God. He has told us that Jesus is the light and life of humanity. But there's a twist to this majestic tale: The Son of God, magnificent and mighty, humbles Himself to become flesh - to enter Mary's womb, to be a holy embryo, to dwell among us. Eugene Peterson translates this thought as "The Word became flesh and blood, and moved into the neighbourhood." One would think that moving into the neighbourhood would lower Him to our standards - that'd He'd be cheapened by His connection with us. But this is not the case: John declares that the "divine self-lowering" of Jesus actually exalts Him. And here's why: Where Adam and Eve grabbed for more power, Jesus chose to obey God even if it meant humbling Himself and having less power. Jesus obeyed His Father and, for our sake, He gave His life. Jesus deity is recognised by John, not only because of His divine identity, but also because of His sacrifice. EmmDev 2015-06-03 [Pentecost 2015] Yes, but how?? Leading up to and following Pentecost we've looked at the Person and work of the Holy Spirit. 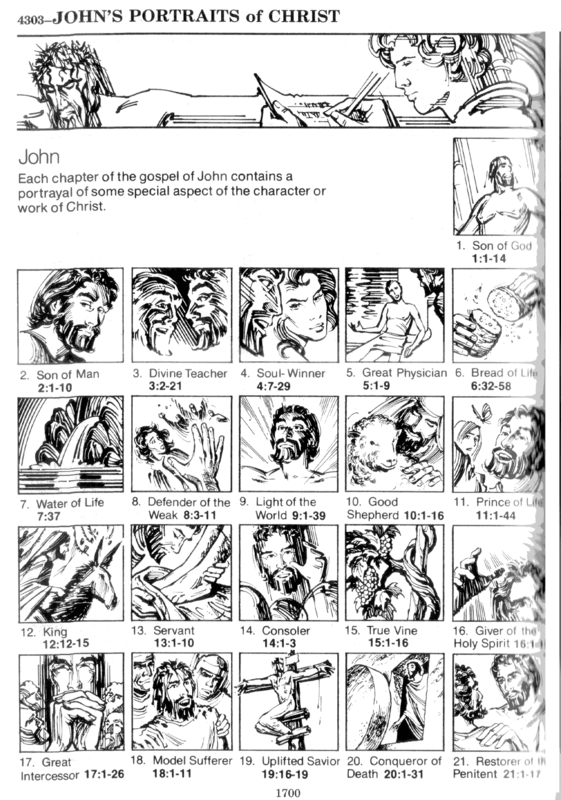 We've explored various images that help us understand His work in our lives. The question that remains is, how does this happen? How do we experience the working of the Spirit? The biblical answer is that we must be filled with the Spirit. Paul uses a helpful analogy: Being filled with the Spirit is similar to intoxication. To be full of alcohol is to be controlled by it - to a great degree you don't have the alcohol, it has you. To be full of alcohol is to keep drinking. The same is true of the Spirit. Being filled with the Spirit is to let Him have control in your life. To be filled is to keep drinking. To be filled is not so much how much of the Spirit you have, but how much He has of you. in quietness and trust is your strength, but you would have none of it. Isaiah 49:29-31: He gives strength to the weary and increases the power of the weak. 31 but those who hope (wait) in the LORD will renew their strength. John 15:5-7: "I am the vine; you are the branches. If a man remains(abides) in me and I in him, he will bear much fruit; apart from me you can do nothing. 6 If anyone does not remain in me, he is like a branch that is thrown away and withers; such branches are picked up, thrown into the fire and burned. 7 If you remain in me and my words remain in you, ask whatever you wish, and it will be given you. Acts 1:4-5: On one occasion, while he was eating with them, he gave them this command: "Do not leave Jerusalem, but wait for the gift my Father promised, which you have heard me speak about. 5 For John baptized with water, but in a few days you will be baptized with the Holy Spirit." It's all about a relationship. About responding. being transformed by His love. You've had the theory and some idea of the practice - no recipes and no incantations - now take the risks and invite Him in. Raise your sail and see where the Wind takes you!!! That concludes our Pentecost series. We'll take a break until Tuesday... Any suggestions for the next series? Most of us will admit that we promise to do all sorts of things: Eat less, exercise more, stress less and so on... but we struggle to act on our good intentions. We tend to struggle to cultivate good habits and easily fall into bad ones. While many of us would argue that we are generally good, it seems that brokenness is like a gorilla that hides in the cupboard and jumps out when we least expect it. We want to be pleasing to God, but then we do things that sabotage the progress we have made. It's easy to get depressed and frustrated by this. Paul calls the cupboard gorilla the "old man" and he wrestles with the brokenness and darkness that his sinful nature brings into his life. In Romans 7 he comes to the peak of his frustration and exclaims - "What a wretched man I am! Who will rescue me from this body of death?" Then, in ch.8 he introduces us to the beautiful and comforting truth that we do not have to try and be good and righteous and holy by ourselves, but that we can live by the transforming power of God's Spirit. We can make better choices and answer to a higher calling. This doesn't happen instantly and it isn't that the Holy Spirit is a body snatcher, but rather that we learn to walk in step with the Spirit, listening to His prompting and waiting for His strength. And so the promise in Philippians 1:6 is very apt: [Paul prays...] "being confident of this, that he who began a good work in you will carry it on to completion until the day of Christ Jesus."